DxO Optics Pro v5 has been unveiled by the DXO Labs headquarters in France. This latest version of the DXO automatic image quality enhancement software application will deliver digital noise reduction at a "new standard" according to the announcement made today. DxO Optics Pro v5 is planned to be available at the end of October, and purchasers of DxO Optics Pro v4.5 on or after August 1st, 2007 are eligible for a free upgrade. The new version also features dust and blemish removal, an improved user interface, increased speed and expanded camera support. Paris, France, October 1st, 2007 --DxO Labs today announced DxO Optics Pro v5, the latest version of its award-winning flagship software application for automatic image quality enhancement for Digital SLR camera users. Due to be released later in the fall, DxO Optics Pro v5 sets a new standard for image quality with its new RAW conversion engine. DxO Optics Pro v5's RAW conversion engine includes a completely new demosaicing algorithm which produces images with much more detail and fewer artifacts, setting a new standard in image quality. Demosaicing is the crucial step of RAW conversion during which the camera's image sensor pattern is reconstructed as a visible image for the human eye. Inherently, demosaicing involves trade-offs between image sharpness, details, noise, processing time and conversion artifacts. The quality of demosaicing determines the amount of detail and artifacts in the final image. These artifacts, particularly visible and unsightly, are compounded at high ISO settings and are in large part responsible for what is deemed the unnatural look of digital images. "DxO Labs' approach to demosaicing turned a number of classical solutions on their head: instead of only considering pixels with respect to their direct neighbors, DxO's new RAW Engine uses a 'non local' approach looking much further than is usual from each pixel in the image in order to reconstruct detail. This significantly reduces demosaicing artifacts," said Frédéric Guichard, Chief Scientist at DxO Labs. The other key characteristic of DxO Optics Pro's new RAW Engine is that instead of applying noise reduction techniques after demosaicing, a newly-developed noise reduction is performed upfront, before noise has a chance to be amplified by the RAW conversion process and absorb important fine details. 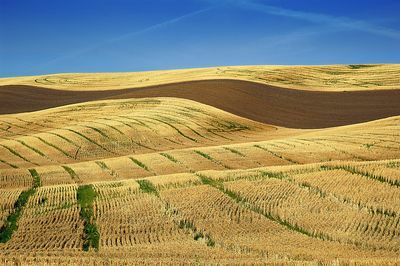 Combined with other proprietary techniques, DxO Optics Pro v5's new RAW Engine produces both the most detailed and most natural looking images yet - its very fine and homogenous grain translating into subtle shades and textures. DxO Optics Pro v5's new RAW conversion engine has been fine-tuned and optimized with the rest of the software's automated image enhancement features (optical corrections, color rendering, exposure optimization, highlight recovery, etc.) to produce best-in class results. Based on extensive research and communications with photographers, DxO Optics Pro's user interface has been reorganized to improve workflow and ease of use. In particular, tools are now organized into four main sections that match the photographer's approach: Light, Color, Geometry, Details. Users of DxO Optics Pro v5 can also customize their workspace to their particular way of working or choose to keep the tool organization of the previous version. DxO Optics Pro's powerful project and preset functions have also been overhauled for increased ease of use and functionality. Benefiting from an entire rewrite using Microsoft's .NET and Apple's ObjC-Cocoa technologies, DxO Optics Pro v5 is up to four times faster than version 4.0. This is due in particular to the use of GPU processing; where the power of dedicated video card chips is used to accelerate an application. DxO Optics Pro v5 will also support the latest Canon and Nikon Digital SLR camera bodies. Support for the Canon 40D, Canon 1Ds MKIII, Nikon D300 and Nikon D3 will be included in DxO Optics Pro v5 over the next few months following the availability of these cameras. 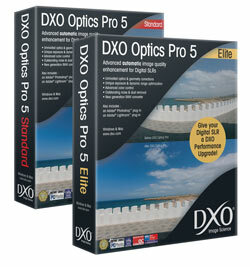 DxO Optics Pro v5 for Windows is planned to be available at the end of October 2007. DxO Optics Pro v5 for Macintosh is planned to be available approximately one month after the Windows version. Demanding photographers, as well as photography journalists and imaging experts. DxO Labs' product portfolio is steadily finding a place at the heart of advanced consumer electronics and world-class industry imaging systems where "Image Science by DxO" becomes a reference for quality. For more information or a list of distributors and resellers, visit DxO Labs online at www.dxo.com. Our 7th Annual Photo Adventure Trip (ANPAT) participants are in the middle of the final week in Yellowstone and Grand Tetons National Parks. Check out some of the picture posts at the ANPAT forum to see what the excitement is about. As most of the Group One attendees headed home Group Two began their week-long adventure, and soon we'll be seeing a good selection of 7th ANPAT impressions in the Nikonians Galleries. As we mentioned last week, we are currently evaluating a few locations for our 2008 ANPAT. Right now, we are considering a trip to the American Southwest for deserts, canyons and valleys. Alternatively, we are looking at the Northeast for Maine, fall colors and coastal landscapes. As soon as this ANPAT is concluded we'll have the 8th ANPAT forum opened, and we'll be looking for your suggestions. Stay tuned to the News Blog for updates. Mike, when shooting in Shutter Priority mode on the Nikon D200, I am having an awful time trying to get water movement in waves and streams. When I slow down the shutter speed, the exposure is burnt out... I don't know how to set the camera for both slow shutter AND proper exposure??? Help! 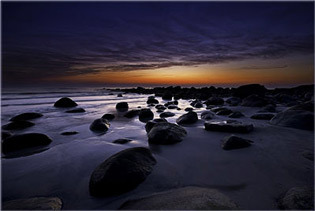 In order to get a long exposure, it has to be relatively dark. On a cloudy day, if you shoot at ISO 100, you'll be lucky to get a 1/2 to 1/4 second exposure. That will give you a little bit of motion blur, but won't really result in silky smooth water. The only way to really get what you are after is to decrease the amount of light coming into your camera. The best method for doing this is to use a neutral density filter. These are dark filters that simply fit over your lens and reduce the amount of light landing on your CCD. In my humble opinion, the best product on the market right now is made by Singh-Ray. It is pricey, but allows you to actually dial it in for a specific amount of light reduction. For example, you can set it to reduce the light by 2 stops to 8 stops just by rotating the front element of the filter. There are other filters that are much less expensive and are usually designated as 1-stop, 2-stop or 3-stop filters. Also, remember that in in shutter priority mode, you are setting your camera for a specific shutter speed (maybe 2-seconds) but the light is way too bright to get a decent shot. With a long exposure, your camera will have to choose an aperture of f22. Unfortunately, most lenses don't stop down any further than that, so there's no other way to reduce the light. The result is a blown out exposure. 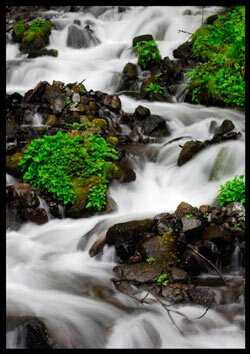 The neutral density filter is a great solution to your problem. We have a few seats remaining in our Orlando, Atlanta and Washington DC workshops. Many of the individual classes are sold out, but there are still some available for Nikon Capture NX in most cities during October. In each city we'll be teaching the Nikon D200, Nikon D80/D70, Nikon Capture NX and Nikon iTTL Wireless Flash. Orlando is scheduled for October 11th - 14th. Both Atlanta and Washington DC are scheduled for October 25th - 28th. You can sign up for workshops on Nikon D200, Nikon D80/D70, Nikon Capture NX and Nikon iTTL Wireless Flash by visiting the Nikonians Academy. Until next week -- keep shooting! Contests Director Chris Gray (wpgf100) has contacted the winners of Segment Three in our Nikonians Photographers of the Year 2007 Contest, letting them know they have earned prizes in their categories. The First Place winners have also been selected to move on to the finals of this year's contest. Segment Three judging concentrated on the Night Time, Open and Digital Art categories, with the following Nikonians taking top honors. First Place - Sten (stenrasmussen) Rasmussen, from Norway, for "Norwegian Spring Night" - The winning entry earns Sten a Spyder2PRO from ColorVision and a seat in the finals. 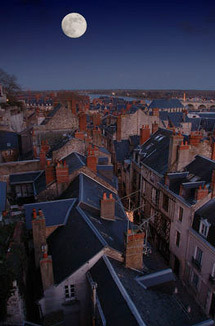 Second Place - Phil (pmwollenberg) Wollenberg, from the USA, for "Overlook at Chateau de Blois" - The winning entry earns Phil an HP Scanjet G4000 Photo Scanner from HP. First Place - Jeff (jrayner) Rayner, from the USA, for "Underwater Danger" - The winning entry earns Jeff a SilverFast DC Pro Studio from LaserSoft Imaging and a seat in the finals. Second Place - John (WINDSURFER) Bambace, from the USA, for "Dream Boats" - The winning entry earns John a Glass Taxi Backpack from Think Tank Photo. First Place - Sue (Sue A) Ahon, from Australia, for "Inner Soul"- The winning entry earns Sue an HP Photosmart A618 Compact Photo Printer from HP and a seat in the finals. Second Place - Alexander (Alejandro) van Toom, from Spain, for "Un lagardonbe la paz se puede tocar"- The winning entry earns Alexander a Capture One LE from Phase One. The Nikonians Photographers of the Year 2007 Contest is open to all Silver, Gold and Platinum Members. All entries are judged by a panel of expert Nikonians photographers who cast their vote on the photographs received within a given period. Segment Four is currently being judged. This segment concentrates on Landscape, Architectural and Sports. Tune in for your weekly dose of Nikonians News Flash! Chock full of news from your friendly neighborhood Nikonians, Nikon, and more. Nikon US has announced a new CEO! New high ISO samples from the D3. 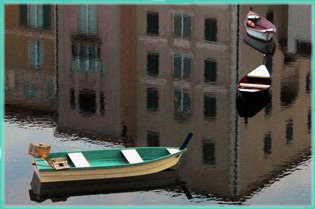 Adobe releases Photoshop Elements 6. Wedding photographer wanted for late November in Sedona. Shout out for Nikonians in/around Manchester, UK! 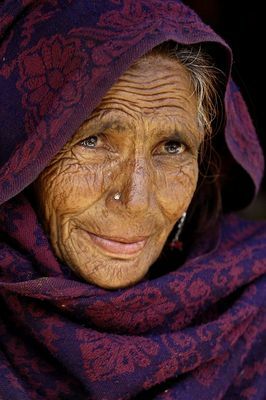 Winners of Segement 3 of the 2007 Photographer of the Year contest have been released. High-ISO samples for the Nikon D3 Digital SLR have been released. 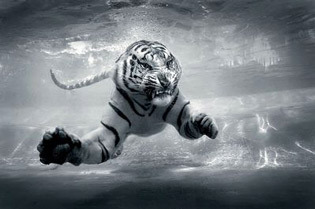 Included among the JPEG examples are action photos at 3200 and 6400 by noted photographer Dave Black. Nik Software has released the long-awaited FREE Upgrader for Color Efex 2.0 for Nikon Capture NX. Please note - this is the Upgrade ONLY - you must own a previous version of Color Efex 2.0 for Capture 4.x in order to use this program. This is NOT a trial version. The full version of Color Efex 2.0 for Capture NX is expected to be made available very soon. This week, the "Doctors" discuss options for portrait lenses and how to find your photographic style. For our members who own Epson portable storage viewer devices, the new Travel Pack will be of interest. Available through the Epson store, the pack is compatible with the P-2000, P-3000, P-4000 and P-5000 portable viewers and features a custom carry unit that will fit on your belt or camera case, a foldable viewer stand, microfiber polish cloth, protective LCD screen films and a car/wall adapter that can power the camera and recharge two batteries simultaneously. Adobe has upgraded their popular consumer editing software package yet again. 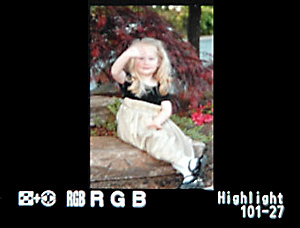 Photoshop Elements 6 has some very appealing new tools such as PhotoMerge, which simplifies combining several pictures to get the best features located in each frame onto a single photo, and a much improved Quick Selection tool that promises to ease the click burden of selecting a complex area in a frame. A new CEO for Nikon USA has been named. Yasuyuki Okamoto has been tapped for the head position for the imaging giant's American operations. Okamoto's previous successful tours includehead of Marketing at the Tokyo headquarters and five years at the helm of Nikon France SA. Our 2008 Nikonians African Safari to Tanzania and the Ngongoro Crater has completely sold out! The class filled up in less than four days and there are many of you who have asked to be placed on a waiting list. Therefore, we are considering offering a second African Safari in '08 and have already begun working with our outfitter for other possibilities. We should know within the next month or so if we will host a second Safari in '08. This week and next week is the 7th Annual Nikonians Photo Adventure Trip (7th ANPAT) in Yellowstone and Grand Tetons National Parks. About 70 of your fellow Nikonians are participating and will be taking breathtaking landscape and wildlife photos in one of America's most breathtaking locations. Photos are already being posted in our forums. In fact, demand was so great this year that we had to expand to two sessions with about 35 people per group! We have already started planning for the 2008 ANPAT and are currently looking for a great location in North America to host another great adventure. Although many of our October Nikonians Academy workshops have sold out, we still have some open seats in Orlando, Atlanta and Washington DC. In each city we'll be teaching the Nikon D200, Nikon D80/D70, Nikon Capture NX and Nikon iTTL Wireless Flash. Orlando is scheduled for October 11th - 14th. Both Atlanta and Washington DC are scheduled for October 25th - 28th. Sign up here: www.nikoniansacademy.com. Here's a tip for those of you using the new Nikon ViewNX browsing software. The traditional way to open a photo for editing from Nikon ViewNX is to send it to Nikon Capture NX. Capture NX is an incredible program and we use it all the time here at the Academy. Capture NX is truly a revolutionary piece of software, however, there are many times when you just want to send the photograph directly into Adobe Photoshop to work on it. Here's how to send it directly to Photoshop from ViewNX. a. With the browsing window open in View NX, right mouse click on the photo you want to edit. b. Choose "Open With" and then choose "Register...". c. From this Options window, click the "Add..." button. d. Now navigate to your Photoshop program folder and choose Photoshop.exe. e. Click "ok" or "open". 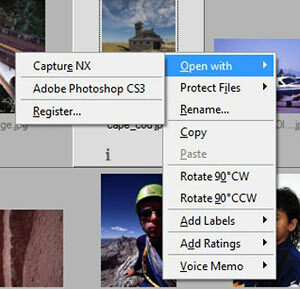 If you use editing programs other than Photoshop such as GIMP or Digital Light & Color, then you can add those to the "Open With" menu just as easily. You can download your free copy of Nikon View NX and 30-Day trial versions for Mac and Windosw Platforms from Nikon at their download site. Until next week, keep shooting! We're back with the latest updates and hints from Mike Hagen and the Nikonians Academy. As well, tune in to find out about where you can see footage of the new D3, and the newest changes to the Online Photo Assignments! Nikon hosts a 7-city tour in Japan highlighting the new D3 and D300. In the US, Nikon is starting an America at Home project. New upgrades to NikoScope BETA have been confirmed by Bo! Want to see the D3? 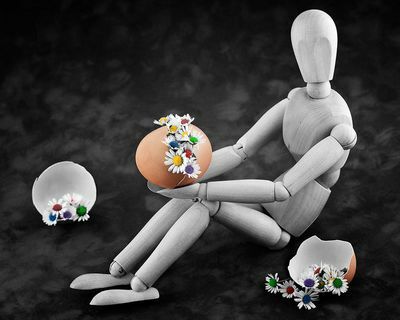 Check out this blog. Noted in Newline International's 18-September edition: Nikon will be hosting a seven-city tour in Japan for the next two months, showcasing the new Nikon D3 and D300 digital SLR cameras. Carl Zeiss introduces the Distagon T* 28mm f2 lens for both Nikon ZF and Pentax K mounts. 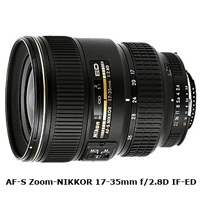 The latest addition to the lens family closes the gap between the wide-angle 25mm f2.8 and the 35mm f2. The recently announced Nikonians Africa Photo Safari beginning November 11, 2008 has booked quickly. Three of the 12 seats for wildlife photography in the the heart of Tanzania are still available. The lucky 12 will be photographing the Serengeti, Ngorongoro Crater and at the private Arumeru River Lodge. The Nikonians Academy reports they had a great bunch at Raleigh (Sept 13-16). Nashville is on top of us for September 20 to the 23rd and we are anxious to see you getting up there too. If you are in that area, we might have a few seats left, but we encourage you to sign up fast. The September 20 Master your Nikon D200 workshop is already sold out, however we still have a few openings for the Sept. 21 Nikon D80, D70, D70s, Sept. 22 Nikon Capture NX and Sept. 23 Nikon i-TTL Flash, CLS workshops. For October, Winston C. Hall will be teaching in Orlando, Miami and Atlanta. Mike Hagen, our Nikonians Academy Director, will be in the New York and Washington, DC areas. The Nikonians Academy workshops tend to fill out very fast so make sure you book as early as possible and remember group size is kept at only 12 students for a richer, personalized learning experience. Passionate photographers and avid learners, you make us so very proud and we are nothing but happy to see you advance so fast. Like Winston C. Hall says, the key to mastering a new skill is getting out and practicing as often as you can. So, the challenge is to take your camera with you! Everyday--everywhere-- and practice, practice and practice more. Starting in January, the Nikonians Academy will be launching a new series of workshops -- or even better: learn-shops- called "Show Case Events" where you can learn everything you always wanted to ask in regards to workflow, from shooting to color management to image enhancement and preparation for web display and printing. Stay tuned. In an little advertised development, Kenko has announced that they will be selling a Nikon F-mount fully manual film SLR. 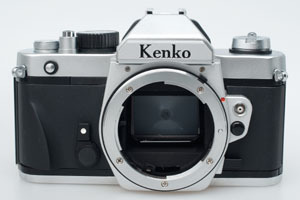 At first glance, the Kenko KF-2N could be mistaken for a smaller sibling of the now-discontinued Nikon FM10 film SLR. The KF-2N has many familiar features such as shutter speeds of Bulb and 1/4000th of a second, Center-Weighted Metering, F-mount (AI, AIS, AF and AF-D only) compatibility, sync speed of 1/125 and powered by two LR/SR-44 batteries. It slightly edges the FM-10 only in viewfinder relief, maximum shutter speed and a PC sync socket. 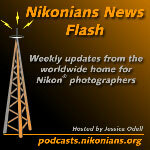 Listen in for all the latest news from Nikon, Nikonians, Adobe, and more. Find out about the latest podcasts from The Image Doctors and the latest edition to our Behind the Lens series. New articles from the Nikon Knowledgebase. Find our picks here! New releases: View NX and samples from the D300 and D3! Check out the latest Image Doctors and Behind the Lens podcasts! Adobe releases Lightroom update for Mac and Windows. Claus Brandt releases his 2008 schedule for the FotoCampus tours! Nikonian Rick Paul's favortie thread for NAS is toys for the trip. Adobe has updated their Lightroom workflow software to Version 1.2 Changes include improvements to cataloging functionality and error fixes to the interface and program behavior. The update is available for Windows and Macintosh. Go behind the lens with Nikon Legend Vincent Versace. Nikonian Jason Odell spent a day with Vincent in his Los Angeles studio, learning about Vincent's techniques for producing outstanding fine art prints and using the latest software tools, like Capture NX. Click here to download Nikonians Podcast #9 (NPC-2007-09-14; 38:54; 13.7MB, MP3 format). Vincent Versace is a master photographer for the digital age. 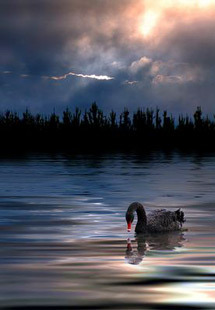 He has won numerous awards and is a featured artist for Nikon, Epson, and Lexar. 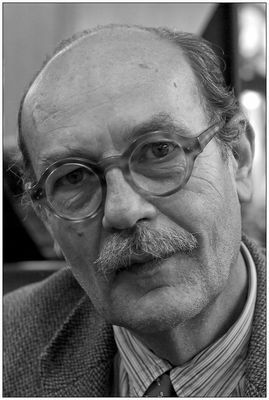 Vincent has been a pioneer in digital photography and digital darkroom techniques. Vincent has been well-known for his photographs of musical artists and celebrities, but now finds himself drawn towards creating images of landscapes and people and evoking emotion from the viewer. Vincent is a strong advocate of Nikon's RAW conversion software, Capture NX, and has created a video tutorial on DVD that describes its use. 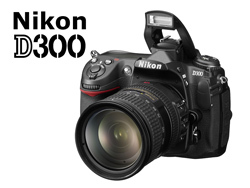 Samples for the highly anticipated Nikon D300 digital SLR are now available. 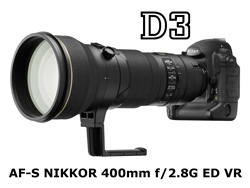 While Nikonians are eager to see how the camera's high ISO performance will compare to the recent stunning images from it's big brother Nikon D3, none of the photos were taken at above the base rating of 200. Nikon has released official samples showing the Nikon D3's image capabilities, including a stunning ISO6400 ambient light photo of a trumpet player. The quality shown reinforces how much Nikon is determined to counter industry comments about lack of high-ISO performance. 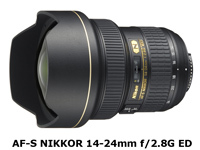 Nikon has released the much-anticipated View NX and some additional new utilities. Nikon View NX replaces the aging Nikon View 6 series, and includes an expanded set of editing controls using the new Picture Control system which makes it's debut in the upcoming the Nikon D3 and Nikon D300 digital SLRs. Download View NX for the PC or Mac. Transfer was previously part of Nikon View 6, but has been separated into a standalone application. The utility now can copy files from the camera to multiple locations simultaneously and supports the Label and Rating system introduced in Capture NX. Download Transfer for the PC or Mac. Finally, in a sign that PictureProject's demise may be near, the PictureProject Export utility allows you to transfer your photo and album information to View NX or selected image management capabilities in Windows or MacOS. Download PictureProject Export Utility for the PC or Mac. *How To Load, Save and Edit IPTC Information on a Nikon DSLR. With the introduction of Nikon's new digital SLR cameras, we have been receiving many questions about when we will start offering workshops on these new cameras. 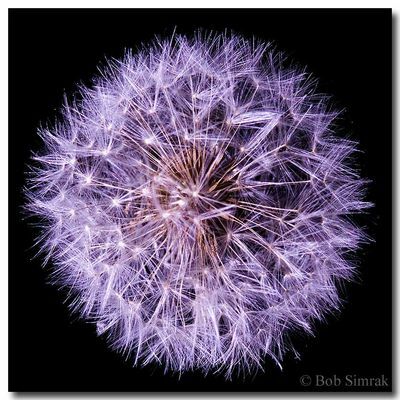 The answer is that we will add Nikon D300 workshops starting in January of 2008. We're looking forward to this great new camera and can't wait to start teaching each of you how to use it! For the time being, we encourage you to go over to our D100/D200/D300 Users Group forum to read what others have to say about it! 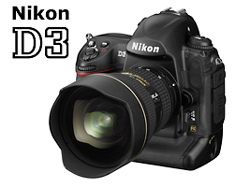 You can also check out Nikon's detailed D300 specifications or a quick D300 overview from our friends at LetsGoDigital. We really want to highlight the Philadelphia dates this October. Carmine Picarello, (our resident commercial, wedding and all-around master photographer) will be teaching workshops on the Master your Nikon D200, Field Photography: Nikon D200 and D80, Nikon Capture NX and Nikon wireless iTTL flash and Creative Lighting System (CLS). The D200 workshops he's leading are set up for two days. The first day will be our standard D200 class, aimed at helping you fully understand all the camera's advanced functions. This is a wonderful workshop and has been selling out in almost every city we run it. The second day will be a field photography workshop. Carmine will be working with you on the D200 in the field, showing you how to actually put into practice professional techniques and methods. 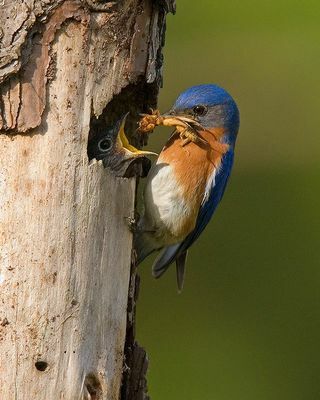 The name of this workshop is "Master Field Photography: Nikon D200 and D80". The workshop is actually open to anyone with a Nikon DSLR (D50, D70, D40, D80, D200, D2X, D100) and the purpose is to show you how to get the most out of your camera in real world shooting situations. We'll be doing street photography and also photographing in great locations in Philadelphia's historic downtown district. Carmine will show you how to optimize the camera for autofocus, color modes, depth of field and fill flash so that you can shoot with confidence on your next photo adventure. Join us for an exciting series of workshops in Philadelphia. Here's a quick field photography tip for you. Many times when I'm photographing on assignment in the outdoors, the ambient light is just too bright to adequately see my camera's LCD. I'm normally in the habit of quickly checking my LCD right after taking my photo just to make sure I've nailed the shot. One of the fastest methods to check your exposure is to view your camera's Highlight screen. Many people call this the blinkies screen. The reason why this screen is important is that it shows you which portions of the photo (if any) are over exposed or "blown out." By quickly viewing this, I can see if the subject's face has any blown highlights and then quickly make adjustments if necessary. Obviously, judging exposures with the Highlight screen isn't as accurate as using the Histogram screen, but it sure is a lot faster! When shooting photos on a trip, you want to stay in the moment and keep shoot photos as they are happening and a quick view of the Highlight Screen is one of the best ways to do this. Finally, for those Floridians out there, we want to remind you that we have a couple workshop dates scheduled just for you this October. Winston Hall will be teaching in Miami from October 18th - 21st. 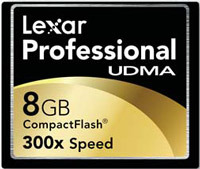 We have seats remaining for each day of the series in our D200, D80/D70, Capture NX and iTTL flash workshops. Winston is also teaching in Orlando the week before from October 11th - 14th. This week's episode includes the weekly report from the Nikonians Academy, as well as the winners of segment 2 of the Photographer of the Year 2007 Contest, and more. Winners of the 2007 Photographer of the Year, Segment #2 have been announced! All About the Cameras, revisited! Image Doctor and Nikonian Rick Walker comments on the upcoming features of Nikon View NX, the anticipated upgrade to the long-in-the-tooth Nikon Viewer utility. The updated program will have many features that tie into the latest digital SLR technology such as the Nikon D300 and the Nikon D3 cameras. The Image Doctors have been beta-testing many of Nikon's upcoming applications, so be sure to check into our forums and keep up to date with the latest developments. Contests Director Chris Gray (wpgf100) has contacted the winners of Segment Two in our Nikonians Photographers of the Year 2007 Contest, letting them know they have earned prizes in their categories, and the First Place winners have also been selected to move on to the finals of this year's contest. Segment Two judging concentrated on the Portrait, Still Life and Nature categories, with the following Nikonians taking top honors. First Place - Carol (essorcalcc) Abrams "Kashmir Elegance" - Her Efforts are being rewarded with a Spyder 2 Pro from ColorVision and a seat in the finals. Second Place - Jacques (archivue) Pochoy "Behind Glasses"
His efforts are being rewarded with a ScanJet G400 from HP. First Place - Bob (Bob Simrak) Simrak "Sphere" - His efforts are being rewarded with a Silver Fast DC Pro Studio from Laser Soft Imaging and a seat in the finals. Second Place - Peter (peterst6909) Stacey "Origins of Life" - His efforts are being rewarded with a Glass Taxi Backpack from TTP. First Place - Jeff (jeffmeyers) Meyers "Earth Waves" - His efforts are being rewarded with an A618 Printer from HP and a seat in the finals. Second Place - David (davidjon_99) Jones "Yum" - His efforts are being rewarded with a Capture One LE from Phase One. Contest Director Chris Gray tells us Segment Two was one of the hardest for the judges in the history of the annual contest. Segment Three is now being judged. 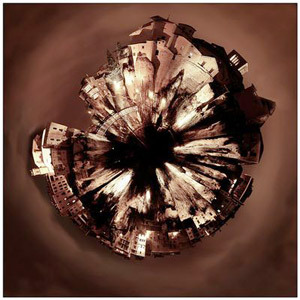 For a guide to entering the competition, check our NIKONIANS PHOTO CONTEST 2007 page. It was only a matter of time before Sony put out their own DSLR using the 12MP CMOS sensor that was announced for the Nikon D300. The A700 is the latest pro-sumer offering that significantly marks the departure of the design from Minolta and brings more Sony-ness into the product family. New features include an 11-area AF sensor with two central cross-hairs, a large 3.0" LCD, improved Dynamic Range Optimizer logic, glass pentaprism and 5 fps advance rate. See the preview at our colleague site Imaging-Resource. The move of Nikonians to our new server cluster has begun. All member services should be available during this process with the exception of a scheduled 15-hour forum access downtime later in the week. Good news: the scheduled downtime of Nikonians.org for Thursday, September 6, from 7 a.m. to 10:00 p.m. Central European Summer Time (CEST) - 1 a.m. to 4 p.m Eastern Daylight Savings Time (EDT) has been moved closer to a day with less members activity. We will have specific scheduling details tomorrow (Thursday) when we know for sure if the decision is made for a move on Friday, Saturday or Sunday, to interrupt the service the least possible. We should have full access available at https://www.nikonians.com (notice the com vs. org) shortly after the maintenance period has ended. Two days later, the entire community will once again have full access to all services at our official address https://www.nikonians.org. In response to popular demand, we've added new workshops for December in Seattle and San Diego. The San Diego dates are December 6th - 9th and the Seattle dates are December 13th - 16th. Sign up quickly before they sell out! Our D80/D70 workshops continue to be as popular as ever. These workshops are aimed at helping you fully understand your camera so that you'll be able to create beautiful images. Lots of new D80/D70 owners feel a bit overwhelmed with all of the choices and settings. We help you understand what is important and how to set up your camera so you are in control! The feedback we receive from our participants is almost always excellent. Mike, thanks for that terrific class. You are an exceptional and gifted teacher. Your patience and easy demeanor made the process so much more enjoyable. I am sure I speak for everyone who attended your workshop that we profited greatly from the experience. I look forward to attending future workshops with you. Mike, I want to thank you for teaching two wonderful workshops - the D70 workshop and the iTTL flash workshop. It was one of the most enjoyable learning experiences I have ever had and it was all because of you. Dear Mike, This is just a note to say thank you for the excellent workshops that you led (and I took) this weekend. I learned a lot and enjoyed every minute of both sessions. Your teaching style is excellent, and you communicated an excitement for the subjects that I think we all shared. I hope I have a chance to meet you again, and, hopefully, take other courses with you. I will keep my eyes peeled on the Nikonians website. Here's a tip for you D80/D70 users out there who want to give your photos some punch and saturation. Nikon has given us three color modes to work with; color Mode I, Mode II and Mode III. 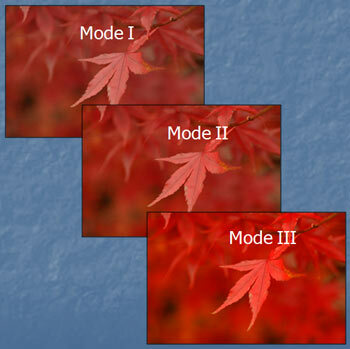 Mode I is a lower saturation setting while Mode III is a high color saturation setting. If you are looking for a quick way to add easy color saturation to your images, then set your color Mode to III. To set this in the camera, press your "Menu" button and then navigate to the "Shooting Menu" (this is the one that looks like a camera icon). Next, navigate to the "Optimize Image" settings and choose "Custom". Finally, go to "Color Mode" and choose "IIIa (sRGB)". This setup will give your pictures some added saturation right out of the camera. There is a lot more to know about choosing sRGB versus Adobe RGB but we won't go into all of that now. Lots of people are looking for ways to get their images looking more saturated from the get-go, and this is one way to do it! For our members hungry for more information following last week's announcement, Nikon has published a flash presentation on the new features of the D300 digital SLR.